I am an octogenarian bicultural Asian-Australian, formed by the communalism and spirituality of Asia, but with my feet firmly grounded in the individualism of the West. I am a communitarian small-l liberal, and a freethinker in matters religious. I seek to contribute to building a bridge between these cultures (as suggested to me by the spirit world about 2 decades ago); and have thereby been writing about issues relating to migrant integration (but not assimilation). I claim to be widely read. A professor of history and politics (a published author of renown), who treats my books as representing a sliver of post-war Australia’s history, did describe me as an intellectual who cannot be categorised (but not slippery). Two of my books were recommended in 2013 by the US Review of Books. All of my six books were reviewed favourably by senior academics and other notable persons. I am not just a pretty face! My books are all experience-based, including the book of short, short stories of imagined people and situations. Usefully, I was Director of Policy on migrant settlement-related issues over nine years in the federal public service in Australia. 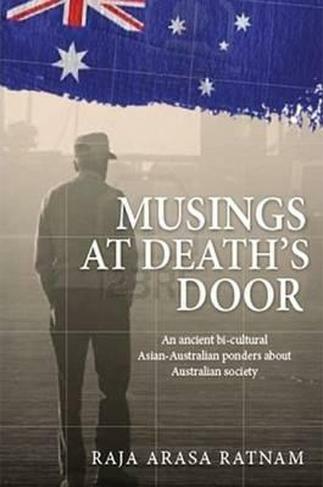 My highly interactive and contributory life, reaching leadership positions in civil society, also contributed to my writing, as did a demeaning life under British colonialism, a half-starved existence under a Japanese military occupation, and exposure to the White Australia-era racism, sectarian religion-fuelled tribalism, and a denial of equal opportunity. 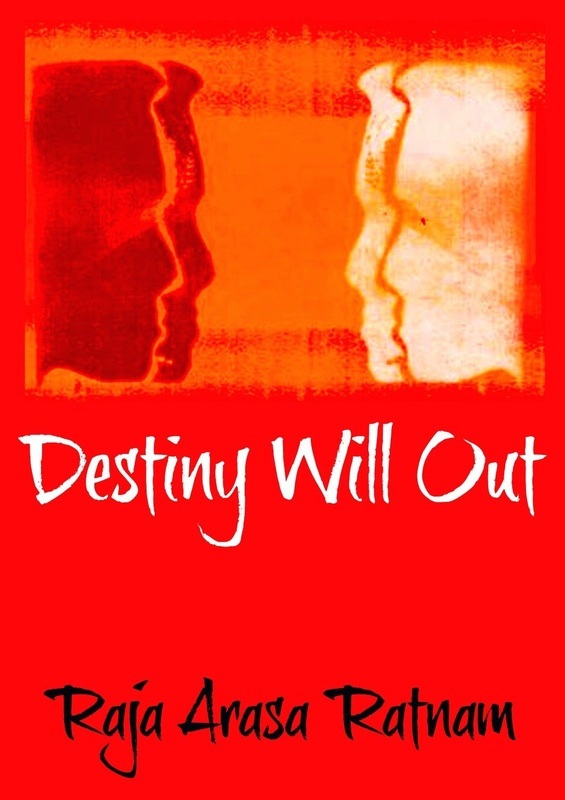 Destiny Will Out: The Experiences of a Multicultural Malayan in White Australia by Raja Arasa Ratnam is an interesting book that will give readers a glimpse into the life of Asians living in Australia. The author narrates his personal experiences along with his life and adjusting to Australian life and culture. The author's observations on Australian life as an immigrant and his perception give the book a genuineness and honesty that readers will appreciate. The humaneness and the concern enable readers to grasp the author's feelings, emotions, and experiences. I found the book very fascinating because it exposes readers to a totally new way of life in a foreign land; the author's comments and opinions are strongly expressed, making the narration more effective. The book also tells readers about the extensive research the author has done on topics relating to tribal population, ethnicity, and other details regarding the culture of Australia. This book reflects the author’s urge to leave to posterity his vision of the inter-connectedness of humankind. It focuses on two key issues: inter-community (especially black/white) relations; and the universal search for the Creator. It also touches upon the issues of a divisive tribalism, and the imperatives of an evolving new Australian national identity. Chapter 4 – Which Way to the Cosmos? This book deals with the cross-cultural impacts of an ethnically diverse immigration intake, and the potential for Asian cultural and spiritual values to influence Western thinking about democracy, human rights and social values. After more than six decades of a highly participatory and contributory life as an adult in Australia, the author offers a supportive bicultural perspective of the land of his adoption. His in-depth analysis leads him to the conclusion that Australia can yet be a beacon to its neighbouring peoples through its egalitarianism, and its fabled ‘fair go’ ethos. This can be achieved in spite of some significant deterioration of its society though the on-going breakdown of family, and a substantial diminution of personal respect for one’s fellow humans. The scope of the narrative is wide, the analysis is deep, and the commentary is incisive. Believing that Australia, a satrapy of the USA, is attempting to punch above its weight internationally, the author (a communitarian small-l liberal) advocates that it become part of its protector. It will then become a republic, voters will elect their president directly, welfare dependency will be replaced by personal initiative and effort, and (hopefully) the Vatican’s social policies will be over-run by secularism. Pride in Australia’s success in integrating the wide range of multi-ethnic immigrants of the past half-century, and in Asian communalism and spirituality countering the excessive materiality of the individualistic Ultra-West, underpin these end-of-life musings. "Before I leave this shell, my body, I need to recognise what it is that I have learnt from my turbulent but interesting life." This book is a commentary about how Australia has changed since the author first moved there in 1948. This work stands on its own merit, however his previous nonfiction work, The Dance of Destiny, describes the prejudices he, as an Asian from British Malaya, experienced. Those experiences are discussed in this latest book, as they relate to his observations of how society has reacted to different races, nationalities, languages, and religions. Ratnam witnessed a change from White Australia to a multi-cultural, multi-lingual nation. During his years of public service, he achieved several high-ranking positions in areas of refugee settlement and migration, education, and humanitarian work. He was also denied positions because of his ethnicity. Even though he was well-known in his field, including serving as an advisor at government levels, he still faced racism from time to time. In the early 1970s, the country developed an official entry policy that was non-discriminating. Skin color was no longer an official issue. In fact, as more immigrants arrived from ethnically diverse backgrounds, more social workers were needed who could speak those languages and understand the cultures. This well-written book flows easily from one point to another. It is excellent for anyone studying sociology, public service, immigration policies, and related categories. It is also a recommended read for those who are not necessarily students, but who are interested in how a nation went from being “very British" to one of diversity acceptance. To use the author's words, "Today's Australia is not the nation I entered in 1948." This is a bicultural, whimsical collage of stories about imagined people and situations. They range from wacky/weird to philosophical/spiritual. There are tales of humour, space fiction, sociology, psychic phenomena, crime, and a parable for adults involving cats, mice, and a little girl who understands their language. “ ... This is an interesting book of 20 or more stories to really engage the mind. Each story actually has a good opening and a dramatic ending. The stories have a wide-ranging background : frightening, weird, some really lovely, some making fun of human ambitions and cross-cultural issues. The last story is quite intriguing – it is so different – and will have you feeling really wonderful. I say no more. It is a very clever book – a real smorgasbord for the reader – one to sit back and really enjoy. 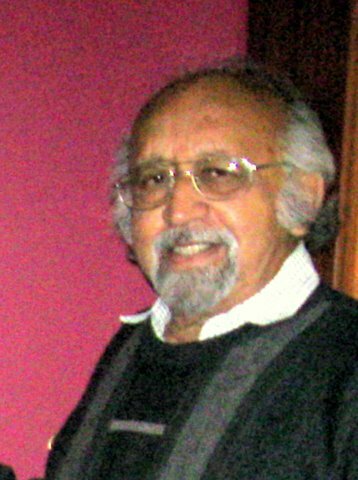 Raja Ratnam is one who relishes his craft and has a special ability to impart his knowledge and experiences in a written form in an enjoyable way ...” - T.Langlands, State President, Fellowship of Australian Writers NSW Inc.
"Memory is not a function of age but of significance." Ratnam conveys his insight into multiculturalism, human psychology, spirituality, what it means to be human, and the unknown in this collection of bite-sized, esoteric short stories. The reader is not bogged down by heavy-handed philosophical or religious quandaries. Ratnam's stories are peppered with various forms of intelligent life, including djinns and sentient animals, lending a mythological bent to reality. They especially lend themselves to fans of science fiction, the fantastical, or even the odd. There are stories that speak to the frailty and limitations of the human spirit while others are of curiosity and redemption. Some are full of hilarity as they jest over the human condition while others are frightening. The stories are whimsical, engaging, unpredictable, a little weird, highly imaginative, and will appeal to a wide audience. They often end on an unexpected, dramatic note, keeping the reader at guessing the outcome. The last story, "Of Mice and Morality," is perhaps Ratnam's best piece. It is captivating, thought-provoking, poetic, and will leave the reader feeling inspired by the end of it. The author has truly written a smorgasbord of stories which will appeal to a wide array of people. Pithy Perspectives is perfect for the person who desires to read something that is intellectually stimulating but at the same time entertaining, easy to understand, and short enough that the book can be read and enjoyed in snippets. NOTE: Royalties will be donated in toto to the Fred Hollows Foundation for its contribution to improving human eyesight everywhere. Trekking through the maya of history, geography, sociology, significant psychic experiences and personal relations of some import, I came to postulate how a personal destiny might evolve. I drew upon Hinduism, not on the New Age modifications. Increasingly, I speculate whether, like the nested fields of force in physics, there may be a nested network of destinies, leading to one which encompasses the Cosmos as a whole. Thus, this book is much more than a memoir. Necessarily and intuitively, I have woven through my narrative some Eastern (mainly Hindu) spirituality. Supportive pre-publication endorsements again followed. Kirkus Discoveries and BookReview.com offered very favourable reviews.